Bringing the guest post home. A few years ago I was looking for a basic beige top that would go will all my bottoms, mainly my skirts. I couldn't find anything until I came across a beige t-shirt at Target. I bought it thinking it would solve all my clothes dilemmas and then maybe wore it once because seriously look at this. Yawn. Can it be more boring. 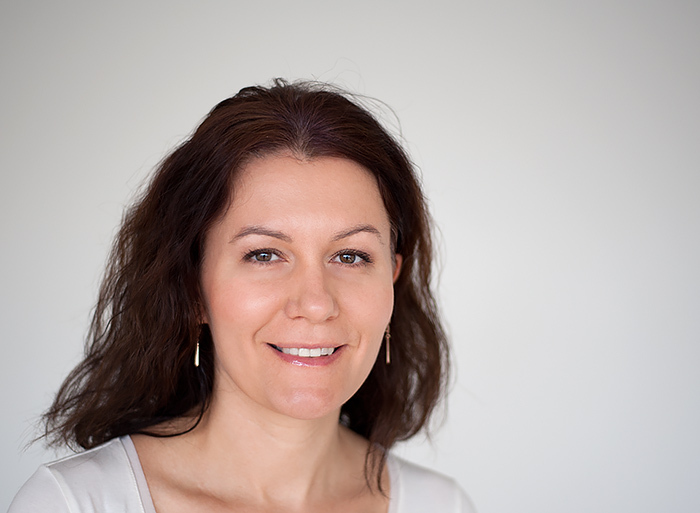 It was definitely time to turn it into something else, like a t-shirt for Ania. 1. Cut the shirt apart at the seams. 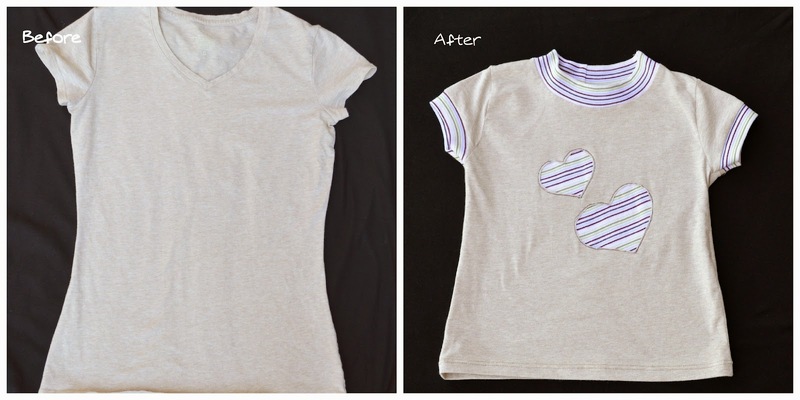 Use your favorite t-shirt pattern to cut out a new shirt for a child. If you can save the bottom so you don't need to hem it! 2. Join the front and back bodice pieces right sides together at the shoulder. If you have stretchy material, reinforce the shoulder seams ( I use clear elastic tape), otherwise the shoulders will droop and not look pretty. 3. Position neck binding as shown in picture and stitch it to the neck opening, stretching the binding, but not the shirt underneath it. 4. Once the binding is attached, join the other shoulder seam. Make sure everything matches perfectly at the neck! Next attach the sleeves ( I chose to add binding to my sleeves as well). Turn the shirt inside out, align the side seams and the underarm sea, pin. Sew the side seams and the sleeve in one continuous action. Repeat on the other side. If you saved the hem from the original shirt, you are done! The shirt was cute, but there was no stopping me, so I added a reverse applique. 5. Draw the shapes you want onto the shirt. I used two hearts. Next, pin the fabric you would want to show, right side to wrong side. Basically, the contrast fabric would be inside the shirt. To prevent puckering, pin the tear away paper used for machine embroidery on top of your contrast fabric. Don't have that? Tissue paper works too. Slowly stitch around your shapes. 6. Carefully cut the top layer, so the contrast fabric is visible. That's it! Love this T-shirt refashion! So cute!! I <3 stripes and your sweet tee! Pinned. Joined all your soc media. Follow back. I posted BOO pillow case and witch pin cushion to Sew Crafty this week.